Whether you’re taking part or standing on the sidelines, the sight of thousands of runners pounding the tarmac in an athletic test of endurance is exhilarating. 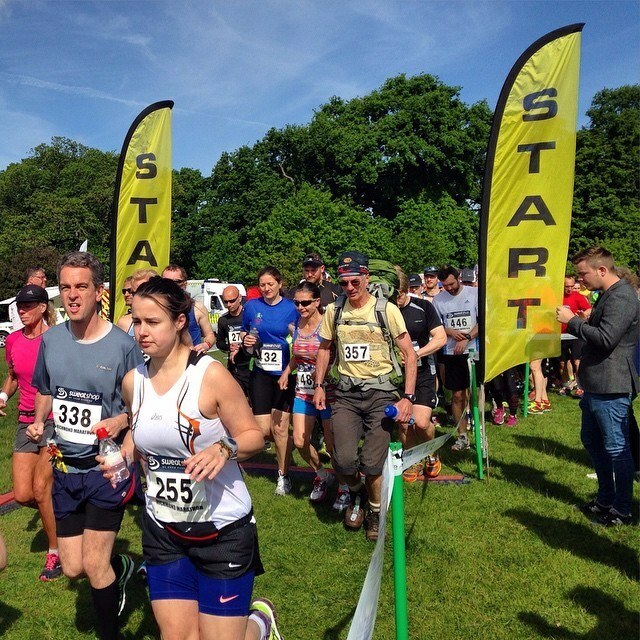 Richmond Park Marathon takes this experience to the next level. Runners leave the roads behind, instead winding their way through beautiful parkland, along trails and between towering trees. It’s one of the best London running events, moving the action away from the city streets into the oasis of calm that is this breathtaking Royal Park. 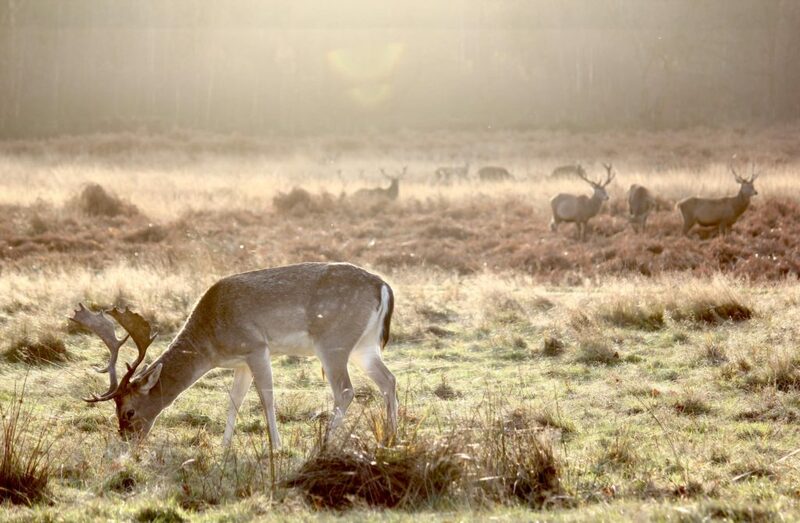 Richmond Park is a delight all year round – it’s especially fun during marathon season, when the park is full of the sounds of feet hitting the trails. When it comes to the event itself, spectators line this London marathon route. It’s easy to find a good spot: the runners first take a lap around the whole of Richmond Park and then run two laps along the Tamsin Trail – a winding path that stretches for seven miles through the meadows. Pitch up with a blanket and a picnic and watch as the runners fly by. In a quieter moment, stop for tea at the magnificent Pembroke Lodge. If you’re really lucky, you might even catch a glimpse of the herds of wild red and fellow deer that roam the park. Deer in Richmond Park. Photo by Isabell Schulz. If you’re keen to take park in 2017s Richmond Park Marathon, be sure to sign up beforehand, as there’s no registration on the day. The next run takes place on 21st May. The official website suggests a list of sites where you can sign up, including Runners World, Run Britain and RPM. On the day, the race begins promptly at 9.30am, though you’ll need to be there earlier to confirm your details with race officials. Limber up with a pep talk at the 9.15am warm up. After that, you’re on the clock. Beware of the race sweepers – if you haven’t finished by 3.30pm, your time won’t count. These London marathon results are always posted online the following day, so you can compare times with your fellow runners and revel in your athletic prowess. 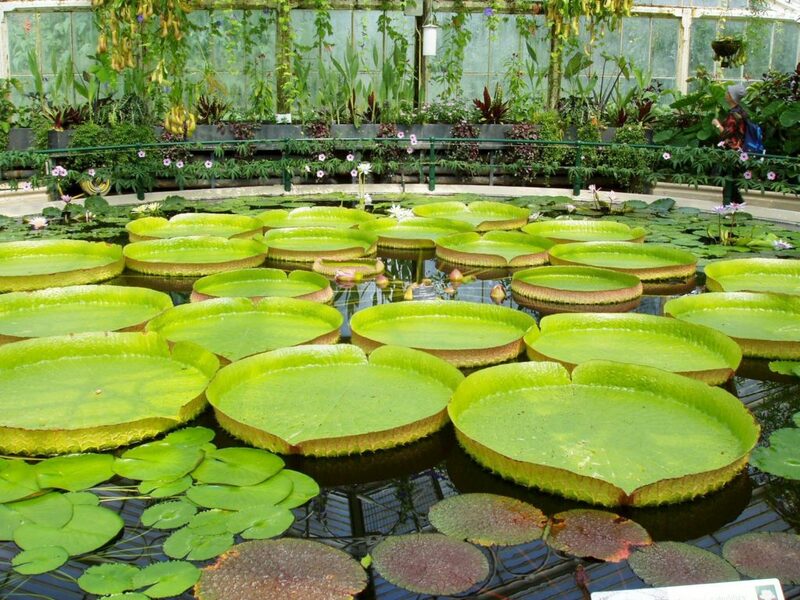 Water Lilies at Kew Gardens. Photo by Beth Camp. When the race is run, there’s still plenty in West London to keep you entertained. If the sun’s shining, head to nearby Kew Gardens. Discover the secret life of bees at the Hive and over 250 years of exotic flora from around the world within the impressive Art Deco greenhouses. If you still have energy to burn, take a stroll along the River Thames as it winds its way through Richmond. Stop off for a well-earned pint at The White Cross – a classic Victorian pub with an enticing riverside terrace. For a slice of history, pay a visit to The National Archives for exclusive exhibitions of all manner of intriguing topics – from the history of pirates to tracing your ancestry. For Italian food par excellence, don’t forget to stop by Al Boccon Di’vino on Red Lion Street. With no menu and not a wine list to be seen, it’s a culinary adventure for the bold. Don’t let a weekend of running in London pass you by – whether that’s on the trails or between West London’s glorious pubs.